Teens who find themselves on the wrong side of the law are nothing new – such stories have flickered on movie screens for a century – but the need to identify new strategies to support them never ends. A new course in the NIU Department of Counseling, Adult and Higher Education this fall is providing specific preparation for counselors to understand the family, societal and institutional factors that can contribute to pre-adjudication, adjudication and acclimation back to communities. “Juvenile Justice: Education, Preventions, Interventions and Counseling Strategies” is offered by the College of Education to graduate students, advanced undergraduate students and counselors in the field. 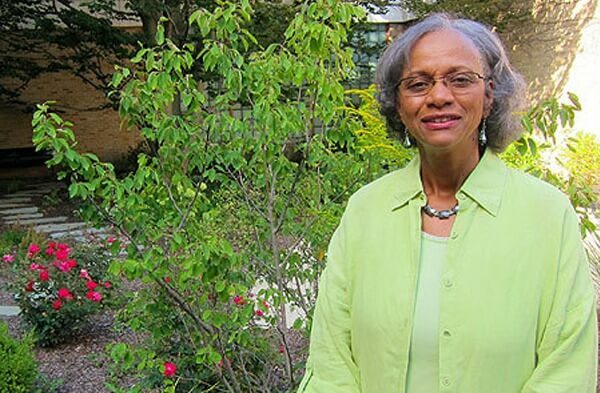 Professor Teresa Fisher conceived the course when she realized that many of her doctoral students shared her research interest in the concept of resiliency. Some of those students worked with juveniles as counselors and probation officers; others spent time in the “juvie” system themselves. All of her co-instructors bring experience with the criminal justice system. Unfortunately, it’s a complex picture. Common factors include trauma, poverty, mental illness, substance abuse, a lack of positive role models and family environments and histories that tend to perpetuate life outside the law, she says. Detention centers are rife with issues. “They often get a bad rap for not being very effective,” she says. “They don’t always have counselors who can address the specific needs of youth offenders, and gang behavior is often maintained. Students dealing with chronic tardiness or truancy can easily end up in the “school-to-prison pipeline.” This is primarily due to the increase of police officers in the schools, Fisher says, adding that minor infractions that were previously resolved by school officials now lead to records in the juvenile justice system. Students in Fisher’s course will learn how to identify those teens who are on destructive paths as well as preventive measures to steer those teens toward more productive lives. Instructors also will teach effective counseling strategies that can help put teens already in the system on a positive footing when they return to their communities. Field trips are planned to juvenile detention centers for students to better comprehend teens, their needs and the programming provided to assist them. These encounters will prove mutually beneficial to the teens and the college students, Fisher says. “We will have an opportunity to present directly to small groups that are detained – personal development skills, anger management, conflict resolution, goal-setting,” she says. Students can use some of that time to conduct focus-group sessions to learn directly from the youth: Have they been detained before? If so, why are they back again? What do they like or dislike about the facility? What will help them get out of the juvenile justice system? The course also will discuss ways to work with parents of youth in – or close to – becoming involved in the system. Fisher will encourage students to teach parents about effective communication, how to set ground rules, how to understand behavioral change and how to create age-appropriate consequences as well as reward systems to support positive behavior.